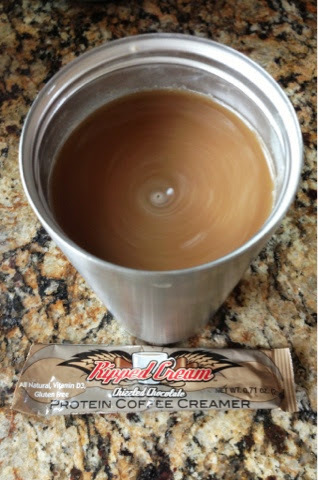 I am so excited that I finally got to try Ripped Cream Protein Coffee Creamer! I am posting this as my 2nd What I ate Wednesday post! WIAW #2. I got a bag of vanilla, and a sample of chocolate to try. I got my product 3 days after I ordered it, which is amazing! And, I am a coffee feign, so this quick shipping is helpful to know - in case you really need to get your creamer stat! 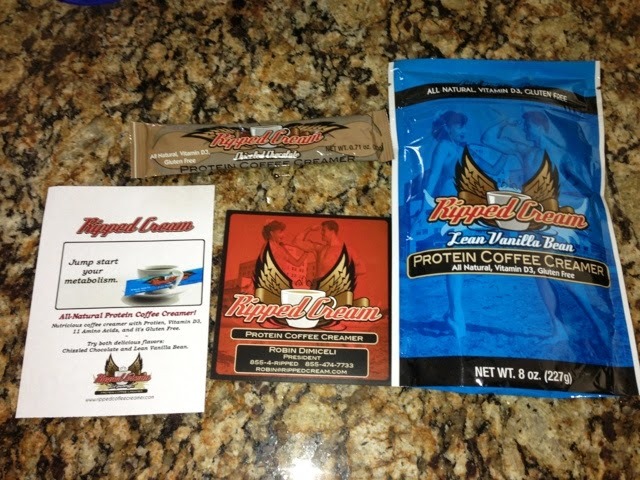 Ripped Cream is a high-protein, all-natural, gluten-free coffee creamer enriched with vitamin D3 and 11 amino acids. Ripped Cream is made with simple and healthy natural ingredients that follow the stringent guidelines of Whole Foods. Each serving of Ripped Cream contains as much protein as an egg! 75% of U.S. teens and adults are deficient in vitamin D, the so-called "sunshine vitamin" whose deficits are increasingly blamed for everything from cancer to heart disease to diabetes, according to new research. 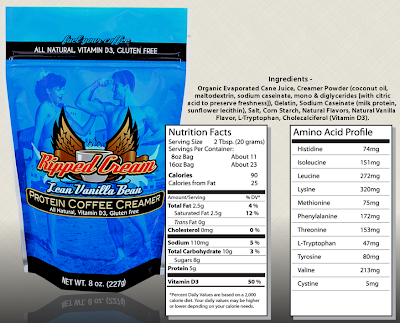 Each serving of Ripped Cream contains 50% of the recommended daily allowance of vitamin D3. 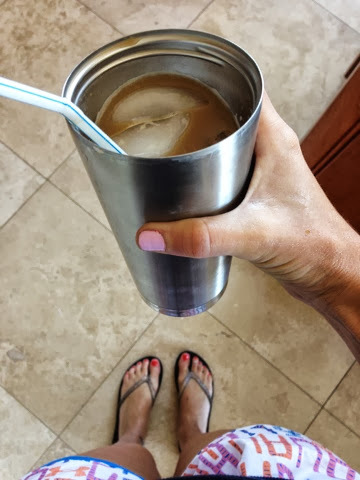 A serving size is two tablespoons for 8 ounces of coffee and has 90 calories, 2.5 grams of fat, 110 milligrams of sodium, 8 grams of sugar and 5 grams of protein. The 8 oz. resealable bag gives you 11 servings. You can also buy a big 16 oz. bag, or try the 1 serving sample packets. I tried the chocolate sample pack in a full mug of piping hot vanilla Foldgers ground coffee (Dunkin Donut vanilla is my fav but at $10 sometimes at the store, I got Foldgers in my cup this time). It stirred in super easily. Not too sweet, not too bland and really smooth tasting actually! I added 1 packet of Truvia to sweeten it up some. This is good so that you can sweeten to your liking. You could use any sweetener you usually use in your coffee. Next, I tried the vanilla. This time in an iced coffee in the afternoon. It blended better in hot coffee, but all you have to do is stir it good and add Truvia and it is ready! I actually think the protein helped me feel full and curb my appetite some. I am used to vanilla creamers, as I usually favor them. This one was smooth and I am looking forward to adding it to my coffee all week. I surprised myself by liking the chocolate the best though! Maybe it is just a nice change from the ordinary. I think it would also taste really good mixed in hot oatmeal in the morning, in a protein shake, or maybe even in cooking a protein pancake! You can buy it on their website, in some stores listed on their website, and I even found it on Amazon.com! They just supplied samples in a recent Bulu Box, and I even heard a rumor that a new flavor might be coming out. Mmm.. I think Cinnamon would be delish! Have you tried Ripped Cream? If so, let me know what you think! You can follow them also on Twitter, Facebook, YouTube and Pinterest! Oh no problem girl! It is really good - let me know if you try it! I just wanted to let you know that there is a contest on my blog today if you want to try and win a free bag of the creamer to try! Thanks! Check back in the morning - I will be posting a giveaway! Love it! Will choose Lean Vanilla Bean if I win! Great - thanks for entering the contest! Have a great weekend! I have tried for years to cut back on cream in my coffee, just can't do it...now I cant wait to try Vanilla! 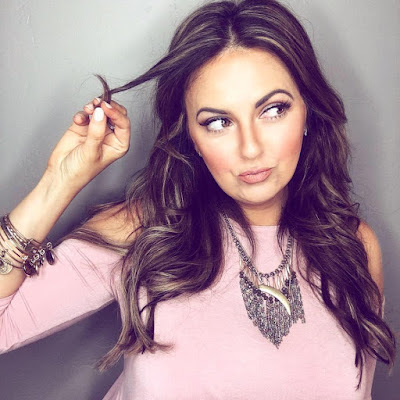 this is the product for me! I know, me too!! Thanks for visiting my blog!